The leak test method used is very dependant on the specific application and the leak rate that is acceptable, these principles are outlined on the Basic Principles Page. 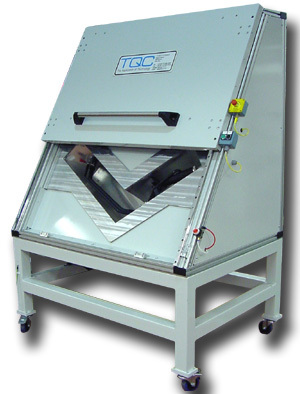 TQC Ltd specialise in standard and bspoke solutions for the automatic leak testing of components using water submersal, air decay, vacuum or helium methods. For these systems, standard leak measurement instruments are incorporated . Test pressures between vacuum and 16bar (150psig) are available as standard. Leak measurement may be made down to a resolution of 1 atm.mm3/sec. All test parameters may be programmed into the instruments, and the result data is available for subsequent SPC analysis. 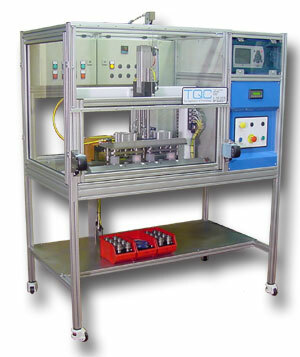 For these systems, TQC provide complete test facilities utilising leak test instruments and pumping groups from proven, world-leading companies that specialise in Helium leak test instrumentation. 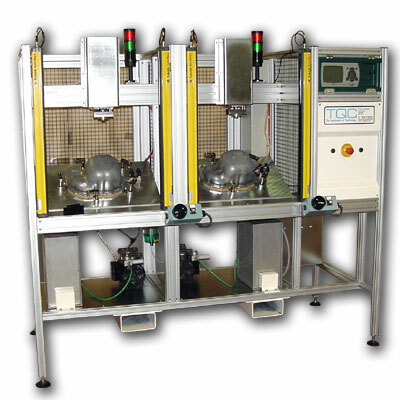 Helium leak testing is generally used for specifications which are too stringent for pressure decay, or where the component is large in volume or not stable in shape or temperature. The leak measurement resolution may be typically 1 x 10-6 atm.mm3/sec. All work completed in house - so the buck stops here!